Bathroom Blinds. 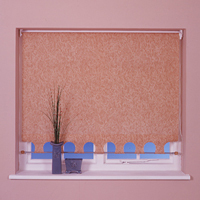 UK Online orders from Bay Blinds Limited. Incorporating a unique Horse Shoe turret and satin silver finish bottom bar with colour co-ordinated 'bud' finials.